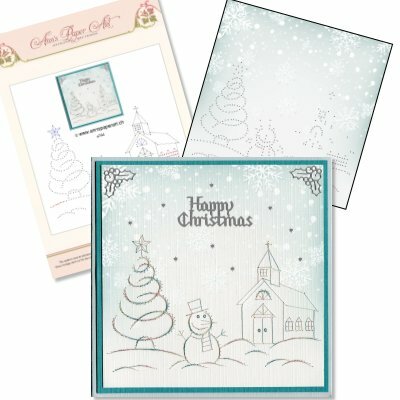 Christmas is not very far away!!! I have added stickers also. Threads are Mettler Polysheen 3951, 3971, 3853. Die is by Findit, Yvonne Creations "Playful Winter" TCD10017. I do hope that you are all having a wonderful weekend. 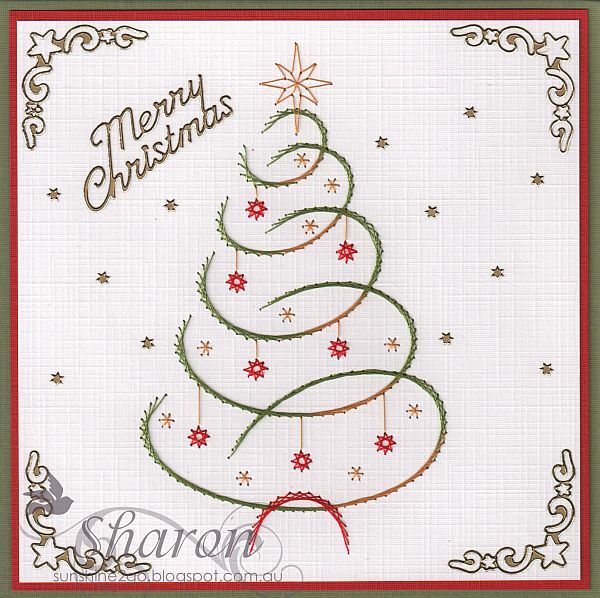 A wonderful new Stitching Sheet by Ann's Paper Art just in time for Christmas. 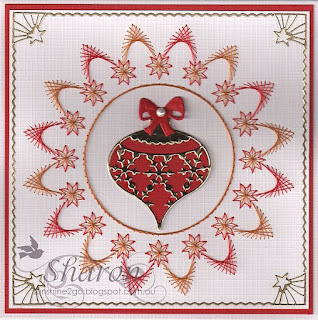 The pattern is quick and easy and comes with 3 different decoupages. Threads are Mettler Polysheen 0824, 2101. Peel offs have also been added. 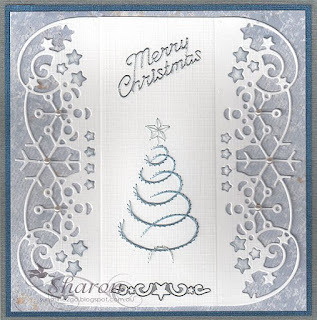 I have also made one into a non Christmas card. 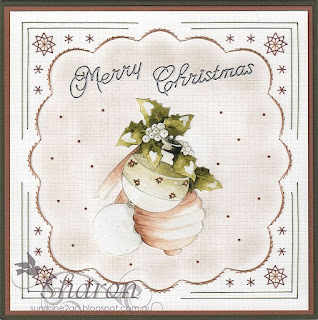 Pearls and Peel offs have also been added. 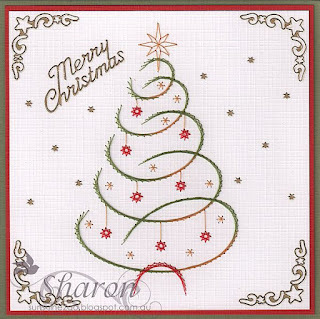 Ann has been very busy this month creating patterns ready for the Festive Season. 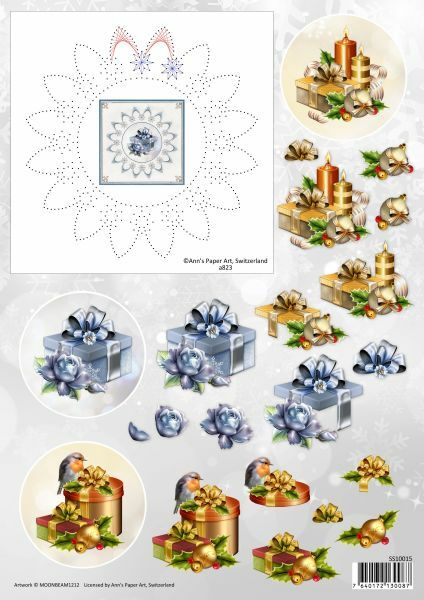 Ann also has a wonderful selection of Winter backgrounds that are perfect! 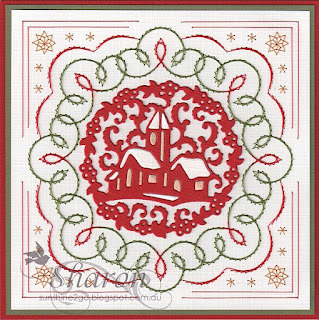 I love this pattern and really enjoyed watching it grow as I stitched it. Threads are Mettler Polysheen 0853, 0861, 0945, 1921, 5933. 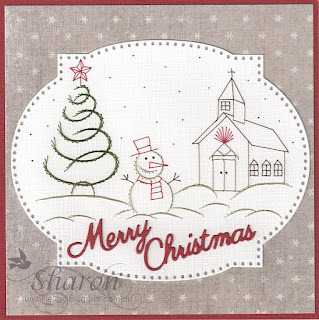 Stitched onto Marianne Design LR0376. 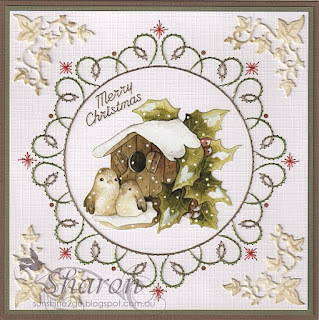 Merry Christmas die by Cheery Lynn B186. 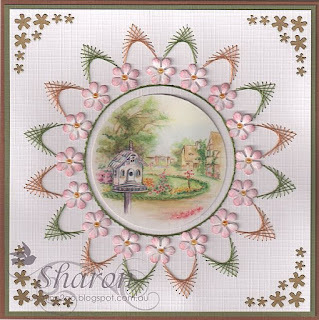 Background card by Maja Design, "A Gift For You - my dear friend"
This is also available as a quick and easy set Ann's Paper Art. Enjoy your weekend it is going to be hot here in sunny Queensland. 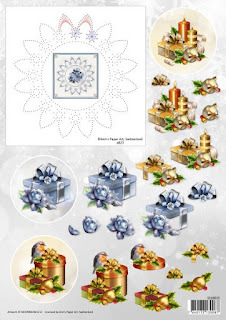 pattern or part of the pattern and it can be used for any occasion. 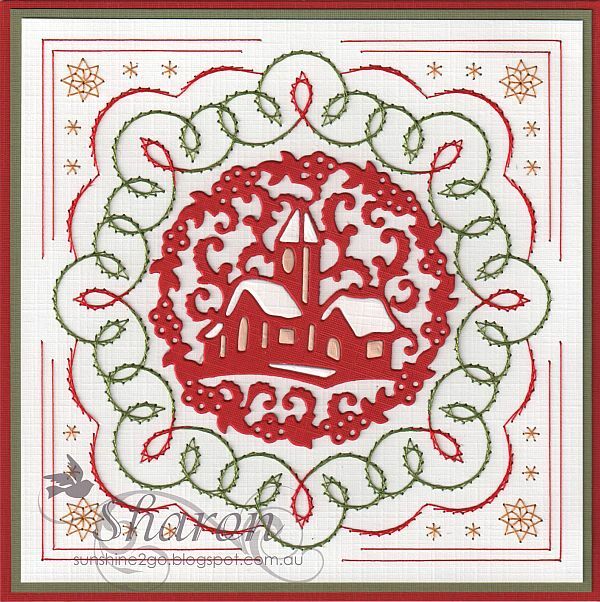 Village Christmas die by Precious Marieke PM10037. Threads are Mettler Polysheen 1133, 1344, 5934. 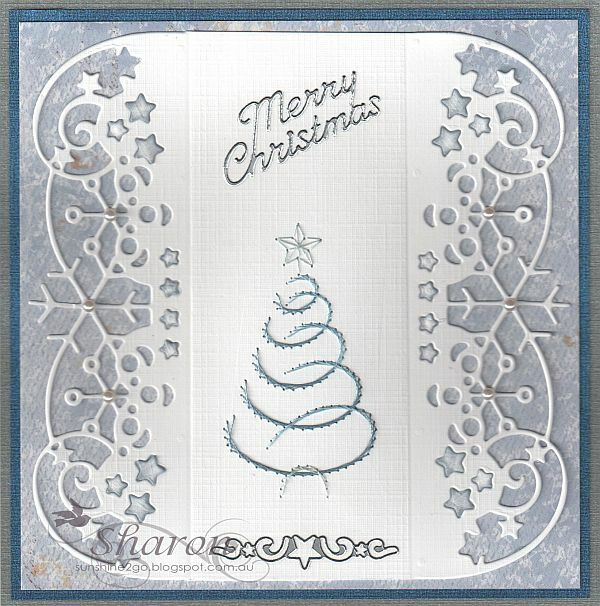 Rustic Christmas decoupage is by Precious Marieke CD10565. I coloured the background with Joy! crafts colouring chalks. Merry Christmas sticker and hobbydots have also been added. I hope that every-one is having a wonderful week. The shops are all full of Christmas decorations here in Australia. In QLD Summer is well and truly on it's way. 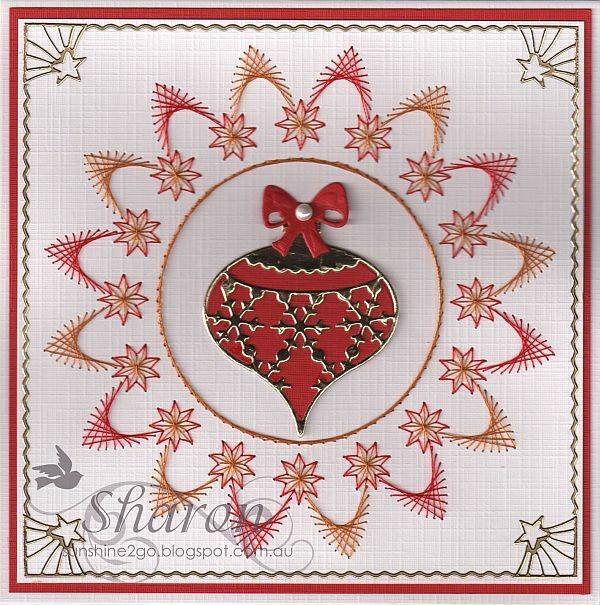 Thank you for coming by and looking at My Craft Cuboard.